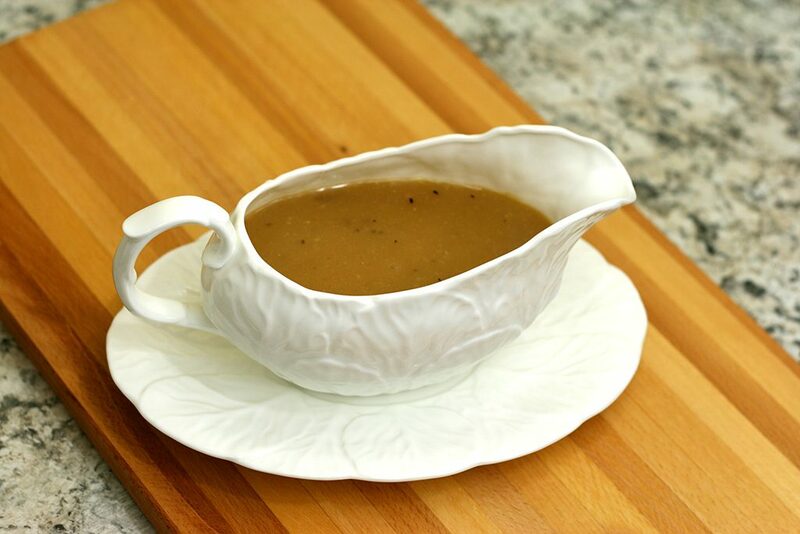 Gravy is essential to Thanksgiving dinner. This can be made with chicken broth if you don’t want to bother with making your own broth. I would recommend using low sodium chicken broth so it doesn’t end up being too salty. To make turkey broth, place the turkey neck (and backbone if removing) and giblets in a pot of water. Bring to a bubble and simmer for 2 hours. You can also add come carrots, celery, and onion for additional flavor. Strain the broth after simmering. 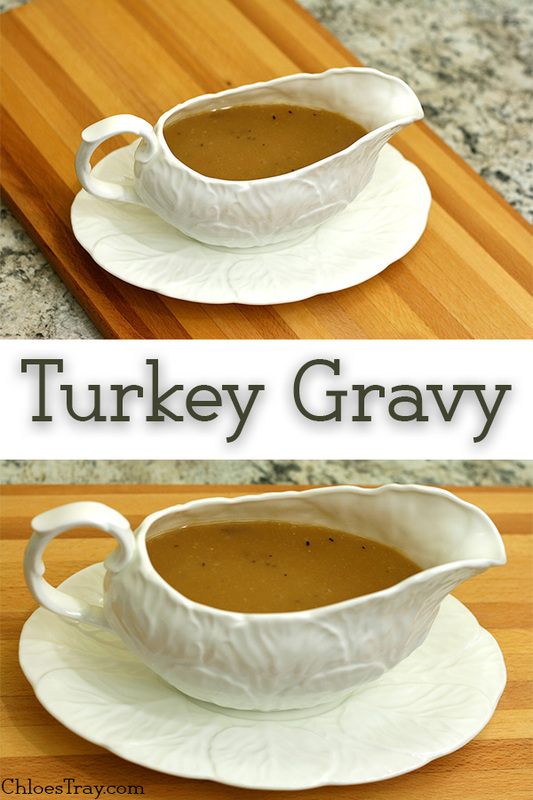 Here is my quick method to making turkey gravy. 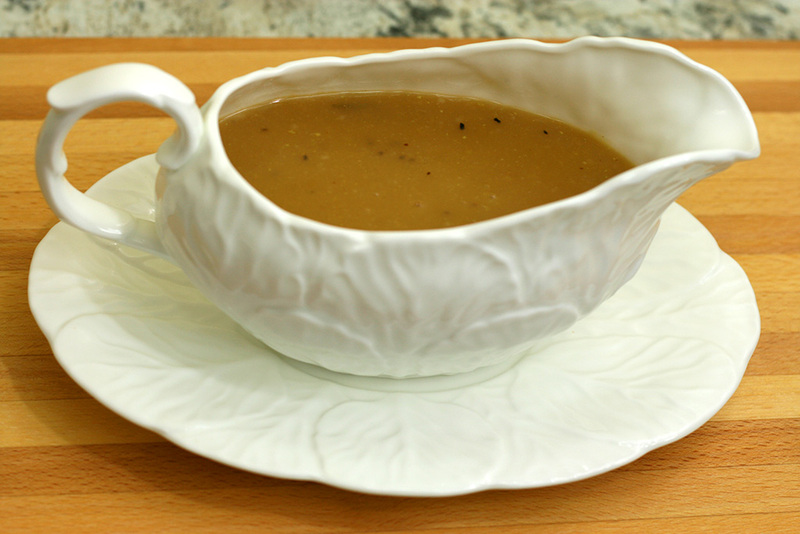 Pour some turkey pan drippings (at least ¼ cup) into a skillet. Heat over medium high heat and whisk in flour, cooking for about 1 minute. Slowly whisk in chicken broth, about ¼ cup at a time. Let the gravy thicken before adding more broth. Season with salt and pepper to taste.